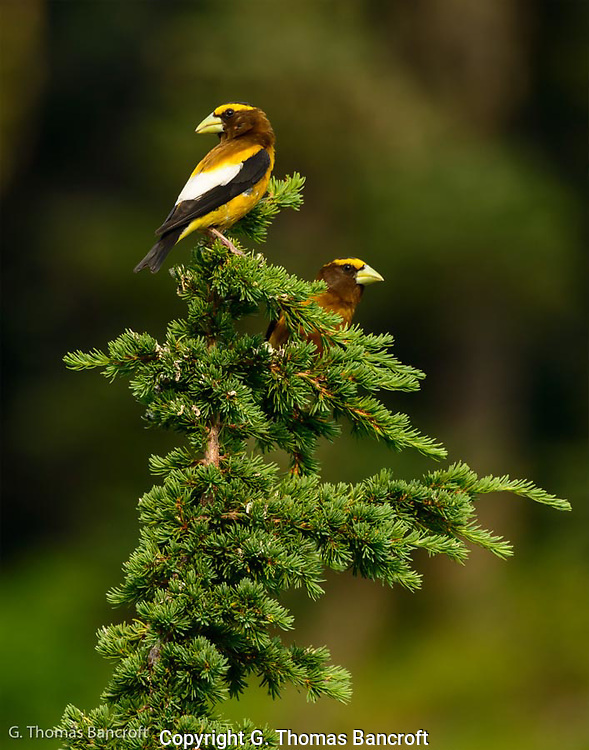 The Evening Grosbeaks flew up into the mountain hemlock. They had been feeding on something on the ground. I stood still and they went back to feeding. Different individuals would fly up for a few seconds look around and then go back to feeding.